You must make reservations at least 5 minutes in advance of the time at Benissimo Ristorante and Bar. For take-out, parties, and catering, please call (415)927-2316. Benissimo Ristorante and Bar was established in 1987 and is located in beautiful downtown Corte Madera. 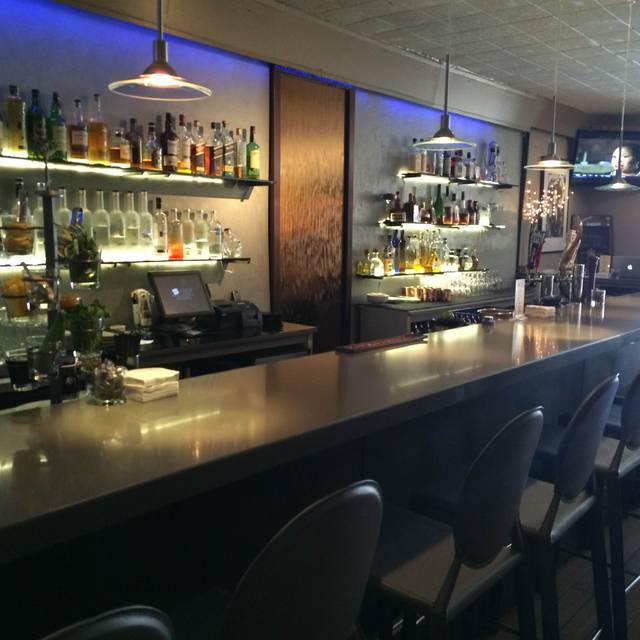 Our regular customers love the new remodeled dining room and full bar area. They also enjoy the new menu which offers the best quality and fairest price. You will also find our happy hour, early special, and daily specials in our menu choices. My first visit to Benissimo on the recommendation of my boss. I will definitely return! Everything from ambiance to friendly service to great tasting food will draw me back to Bemissimo. Sadly, I would not. I love the happy hour but when my husband and I went for dinner the food was really pretty bad. I was very surprised. I had what they called sea bass but it tasted awful and the gravy was more like meat gravy and was supposed to be capers and butter, burnt perhaps? The minestrone tasted like it was out of a can and the caesar salad was very average to poor. I'm very sorry to report this. I have seen other reviews that say the menu is old an tired, but perhaps the cooks are??? This place needs a make over for sure! I have visited Benissimo many times. It is a nice friendly neighborhood restaurant. Unfortunately the menu is old and tired. It has not changed in years. On this occasion not only did our dishes look unappetizing, but my dish was only just warm, and some vegetables were cold. I'm writing this with regret, because I like the place and the people, but they need a serious update . Whenever my wife and I come here for dinner we always hope that Alessandro will be our waiter. We were very lucky that he was working the night that we came in for dinner, March 15th. He was very gracious and helpful. Great restaurant for a romantic dinner or a good catch-up with friends. Service is always expedient and delightful. Alessandro is the best! Try their early bird special, it's the best deal in town! Went here with my husband and cousin. She had been there previously, we had not. We went for an early dinner at 4:45. We were the only ones, besides one other lady in attendance. It was so nice and quiet, we could hear ourselves talk, for a change! Upon being seated, our wonderful waiter was there immediately. He explained several dishes and we ordered. FYI, they have an early bird special that we did not know about before going. It’s from 4-6pm and next time, we will choose off that menu. It’s a GREAT deal-salad, pasta & main course for $27! My husband had the tortellini w/prosciutto in a light Alfredo type sauce. We split a wonderful salad w/pears & Gorgonzola cheese & mixed greens with a light dressing. I had the short ribs in Marsala w/broccoli, green beans & Brussel sprouts. No bones and SO tasty and tender! My cousin had the same as I did, but ate a whole salad by herself! They also have wonderful warm focaccia with dipping oil. Every morsel was enjoyed by us all. After dinner, we shared a small gelato sundae and decaf lattes. Our waiter was more than attentive, but not a pest. He is an asset to the restaurant. Having come so early, by the time we lefty they began filling up and the noise level increase, naturally, but not where you had to shout at one another, as you do in many places it seems lately. It was a very enjoyable experience and we would go again gladly. Our only suggestion.....get some biscotti to go with their gelato and lattes! Food and wait staff did not disappoint! Benissimo is one of our go to places. The staff is always welcoming and service is friendly. We are never disappointed in our selections. although our favorites are the chicken parm and gnocchi. Corkage is a value and the wine list is reasonably priced. Not much more to say except that this is a great place. We had a loving evening at Benissimo. The food was great as was the atmosphere and the service. We recently moved to Marin and this restaurant will definitely be one of our go-to places! I really like this place. The food seems to be very consistent. It's not the type of place to be in and out of. You take your time. When they're busy, you'll need to be patient. I've had short ribs and salmon there before and both are excellent. I was disappointed this time. The short ribs were mediocre and the pasta was ok but needed flavor. We had to wait a long time before we saw our server. We had to wait an inordinate amount of time for our food and check as well. They were busy but not THAT busy. We will try again because we’ve loved this restaurant and the charming owner for years. Quality Italian food from a long-standing family-owned business. Our server has been there over 15 years. It's that kind of place. Everything is excellent, great wine selection, a small and cozy spot perfect for date night or family celebrations. We usually love Benissimo but their Valentine's Day Pris Fixe menu was unexpected and sub-par to their normal standard. We booked on Open Table and did not see the special menu. We were not the only patrons to be surprised by it. We were looking forward to some good pasta and were very disappointed to be served what felt like buffet food. We most likely will go to Benissimo again but not on a holiday. Go here all the time but the other night the service was so slow we almost just walked out. Not sure why, but it was ugly. Once the food did arrive, it was as good as always. This is a great neighborhood restaurant, good food and a pleasant atmosphere. Service was fine but the take-home orders were mixed up. Very disappointed to get the wrong ‘doggie bag.’ However, dinner was good, good value. One of our go-to spots. I was very disappointed this last time. I met friends for dinner and none of us liked our food except for one of us who ordered fried chicken. The eggplant parmesan was very bland as was the petrale sole special and the pesto fettuccini, according to my friends. I’m wondering if they have a new chef, as I have always liked the food in the past. This was our first time at Benissimo. The food and service were superb. We will definitely return. We have been to this restaurant many times and it is consistently good. Anna, our waitress was friendly and efficient, attentive, but not overly so. The food is good and the prices are reasonable for these times. I highly recommend this neighborhood gem! We will be back soon! NIce people and good service but pretty uninteresting and bland food. 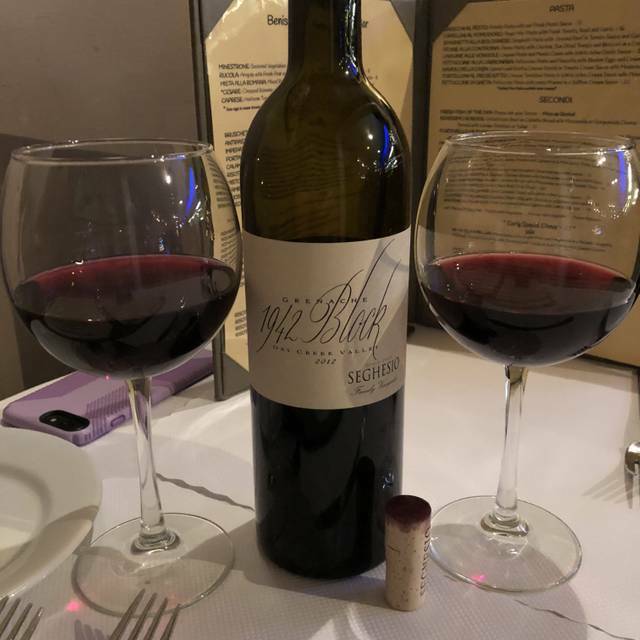 We live in Napa Valley but it’s always worth the trek to our favorite Italian spot in Corte Madera. The owner and staff are warm and inviting too! Benissimo has always been an excellent value in dinning. It represents a complete dinning experience in that it offers a balanced menu with a complementary wine menu, Relaxed dinning , properly timed service. It is well worth the drive to get there. A perfect spot for a small friendly group or a romantic evening. Mid week or week end excellent service never rushed. Love this place for casual date night. Can’t beat good food and wine. Had some bad mussels on their risotto. So maybe make sure the seafood is fresh. Other than that, service, wine, and atmosphere are excellent. Always a great and consistent experience at Benissimo. The perfect neighborhood restaurant where you’re always recognized with a smile. Cheers to another 30 years! Love this place. Have been many times and never disappinted. Benissimo is one of our favorite local restaurants. Food is well prepared at a reasonable price. Service is consistently excellent. A great place to enjoy a meal. Great food, great staff, great dining experience! We had a horrible experience here on Valentines Day a couple years ago and decided to give them another chance. Benissimo used to be a great neighborhood place but that’s no longer the case. It took 25 minutes for us to get service and forever to order and get food. Our meal was below average and when we talked to the manager, he argued with us. So unprofessional and classless. Sadly, we will never return. Don’t waste your money. There are many other Italian restaurants in Marin where they serve good food and actually care about their customers. Benissima never fails to please. Wonderful food, great menu and delightful servers. Wonderful place for date night. We feel well cared for when we eat there. The calamari was excellent, as was the prawn salad we each had for dinner. We bring friends to Benissimos whenever we can...it is always reliable and enjoyable and super tasty. The staff dressed up and decorated for Halloween, it always surpasses our expectations. presented, very meaty. Great shrimp salad and best affogato ($8) in Marin. We've been eating at benissimos for many years. Always a great place to bring visiting friends. If you are looking for quality Italian food and a friendly neighborhood ambience in Marin, this is the place. As always, a great meal!! Highly recommended. Enjoy! !